Returning Officer for the 20th November, 2018 Polls in Lupososhi District of Northern Mr. Christopher Simusokwe says political parties in the District should ensure peaceful conduct of the elections in the District. Mr. Simusokwe was speaking at the opening of the Electoral Commission of Zambia (ECZ) Briefing for Stakeholders from Lupososhi District ahead of the 20th November election for the office of Council Chairperson. 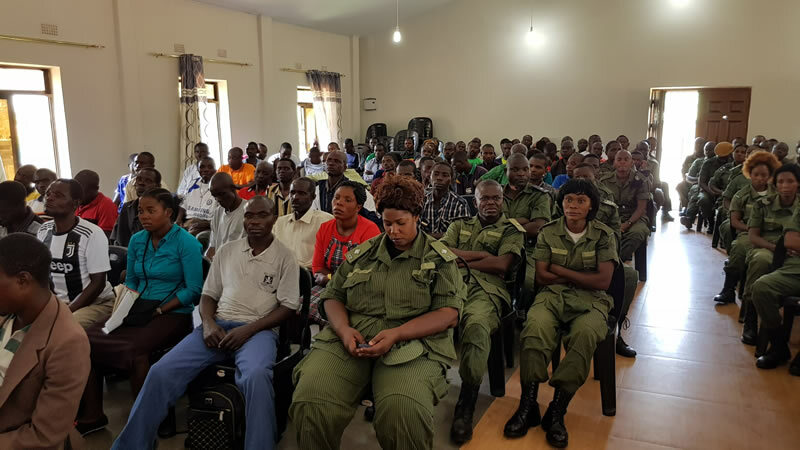 The meeting which took place at Mountain City Lodge in Luwingu was attended by representatives of the Commission, Zambia Police Service and political parties who are participating in the upcoming polls. Mr. Simusokwe told participants that the briefing was important to ensure that all stakeholders in the electoral process understand the law regarding elections. "This meeting for stakeholders is meant to ensure that we participate in these elections peacefully and appreciate the functions of the Electoral Commission of Zambia," Mr. Simusokwe said. And Assistant Returning Officer Mr. David Mbulo told participants that it was important for cadres to abide by the Electoral Code of Conduct and the rules and regulations of elections. Mr Mbulo further said that peaceful elections depend on political parties. "As residents of Lupososhi, we are the ones who can ensure peaceful campaigns and peaceful elections," said Mr. Mbulo. Poll Staff Undertaking the Electoral Commission of Zambia Assesment on Statutory Forms.